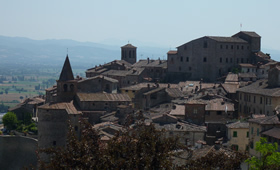 Anghiari is a splendid medieval village, located between the Tevere River and the Sovara stream, seems to clings to a hill that rises between the two watercourses set in the Tuscan Valtiberina. 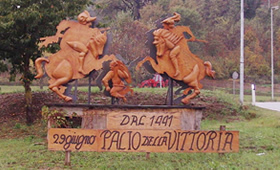 It dominates the green Valle of the Upper Tevere, a pristine site, rich in parish churches, convents, castles and archeological sites, and just steps from Anghiari is the Agritourism lodge Val di Pieve. Its plazas and the narrow lanes house antiquarians' shops and workshops for furniture restoration; the towers and the churches maintain masterpieces of painting and of sculpture. The entire historic center offers panoramic views in every corner and breath-taking perspectives from the steeply sloping roads that cross the village, making it unique. At the peak of the "boulevard" is the church of Santa Croce (Holy Cross), where St. Francis, on his last return from Verna raised a cross to bless the Lower Valley of the Tevere. 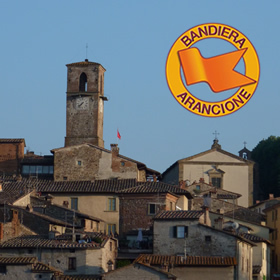 The village of Anghiari has received the Bandiera Arancione, (Orange Flag) brand identifying it as one of the most beautiful villages of Italy and Slow Cities (cities of "buon vivere" – good living). The imposing Bastione stronghold, thanks to its massive thirteenth century wall, was a significant point of reference for many historic events, holding the Tuscan flag high in a land of very delicate borders and balance. 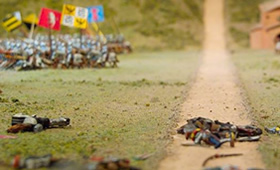 On June 29, 1440, the plain before Anghiari was the theater of a famous battle, passing into history as the Battle of Anghiari, between the Florentine allies of the Holy See on one hand, and the Milanese on the other. Leonardo Da Vinci immortalized the myth of the Battle with the pictorial project commissioned in the salon of 500 at Palazzo Vecchio in Florence; however, the artist was not able to successfully complete the work. We know the form of part of the complex painting planned by Leonardo, thanks to copies of the original preparatory drawings by many masters, Rubens being among the most famous. 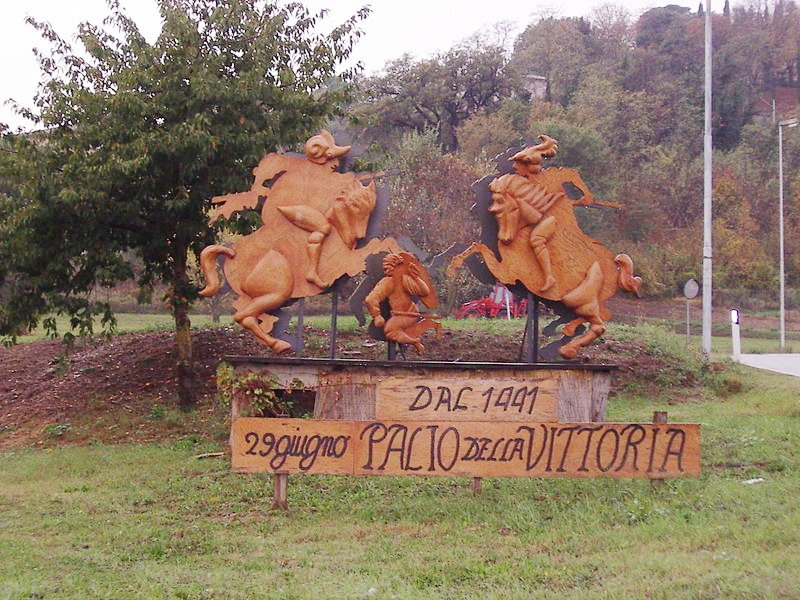 Every year on June 29, the historic commemoration is celebrated at the "Palio della Vittoria". 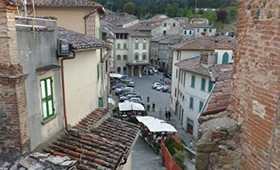 The historic center of Anghiari is rich in small shops that bear witness to the passion, the vocation and the tradition of a village founded on crafts. Ceramics, decoration, fabric, antique furnishings and wrought iron: these are some of the activities that are carried out by the artisans, in workshops, set like precious stones among the alleys and the plazas of the center. 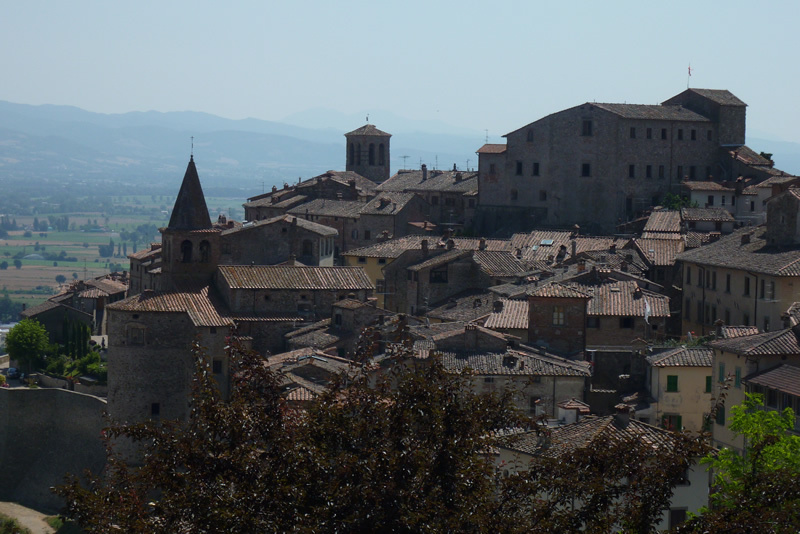 Arriving in Anghiari, you will note signs with the script "Anghiari, City of Autobiography", but you may wonder what it means. 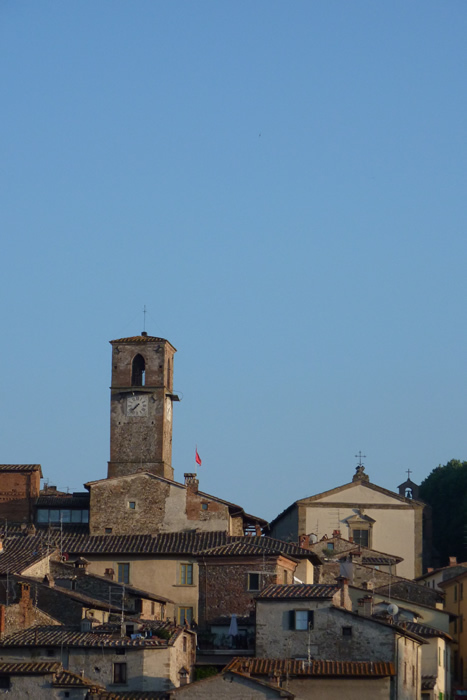 Anghiari hosts the Libera Università dell'Autobiografia, founded in 1998 as a not-for-profit Cultural Association. Duccio Demetrio, a scholar of autobiography at the Università degli Studi of Milan - Bicocca, and Saverio Tutino, inventor and organizer of the Journal Archives of St. Stephen's Parish, are the founders of the association. Anyone may participate in the educational initiatives of the school (reading, seminars, and advance), even without a university degree; they only need to enjoy reading and writing. Walking among the alleyways of the historic center, visitors must stop for a visit to the Museo delle Memorie e del Paesaggio nella Terra di Anghiari (Museum of Memories and Landscape in the Land of Anghiari), located in the Palazzo della Battaglia. The building was named for the Battle of Anghiari, 500 years after the creation of Leonardo's lost fresco. 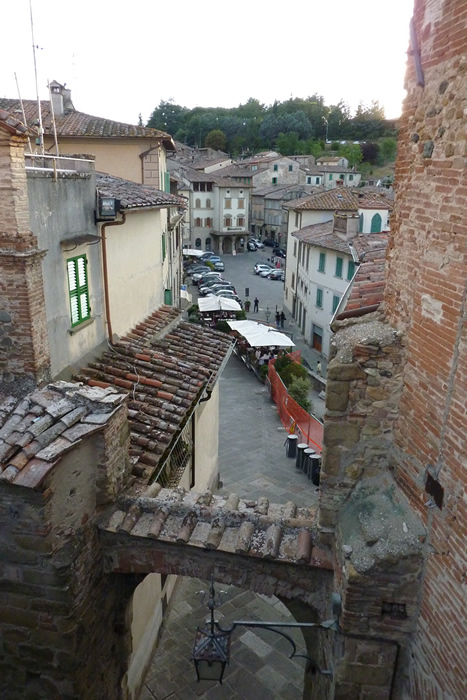 Visitors here receive information on the specific history of Anghiari. At the agritourism lodge, you will find a calendar of guided tours. The Museo Statale di Palazzo Taglieschi and the Museo della Misericordia are also worth a visit. 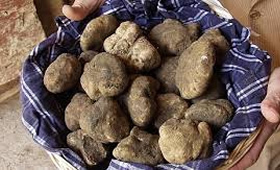 The wealth of our traditional gastronomy is based on high quality local products such as Chianina beef, the precious extravirgin olive oil, the tartufi (truffles), fungi and chestnuts of Caprese Michelangelo, game dishes (boar, venison), the great variety of fresh or aged cheeses, cold cuts, and more. 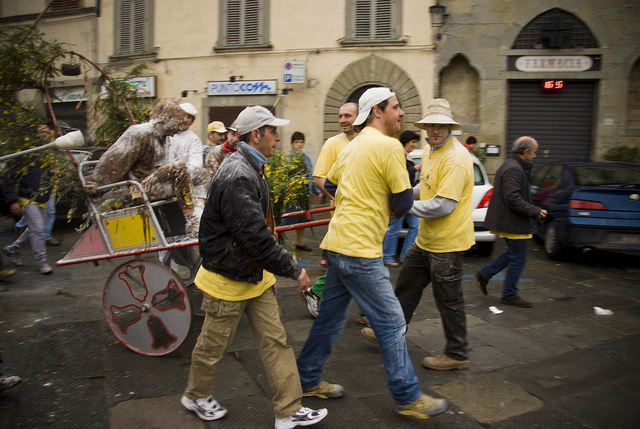 Among the various events that take place in Anghiari, we want to tell you about one of the oldest and most curious: "La Scampanata". 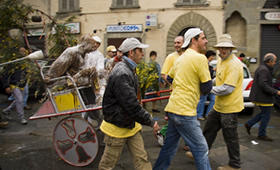 Every five years, every Thursday and Sunday in May, anyone registered in the "Società della Scampanata" must appear by six in the morning, at the roll call, in the main plaza of the village. Late arrivals, wherever they are, and no matter the excuse, are punished for breaking the rules and are transported on a multicolored wagon adorned with "May" decorations and pulled by hand through the steep roads of the village. It is accompanied by deafening music and thrown food (flour, eggs, chocolate) or offal, while a fish is hung before the riders' faces. At the end of the trip, the "victim" is unrecognizable!